This Tactical Parachute Knapsack is constructed with high quality 600 Denier polyester material, heavy oversized zippers and tabs. All hardware used during the construction of this bag is made from heavy gage metal. Includes a zippered interior compartment for seperation of various equipment. 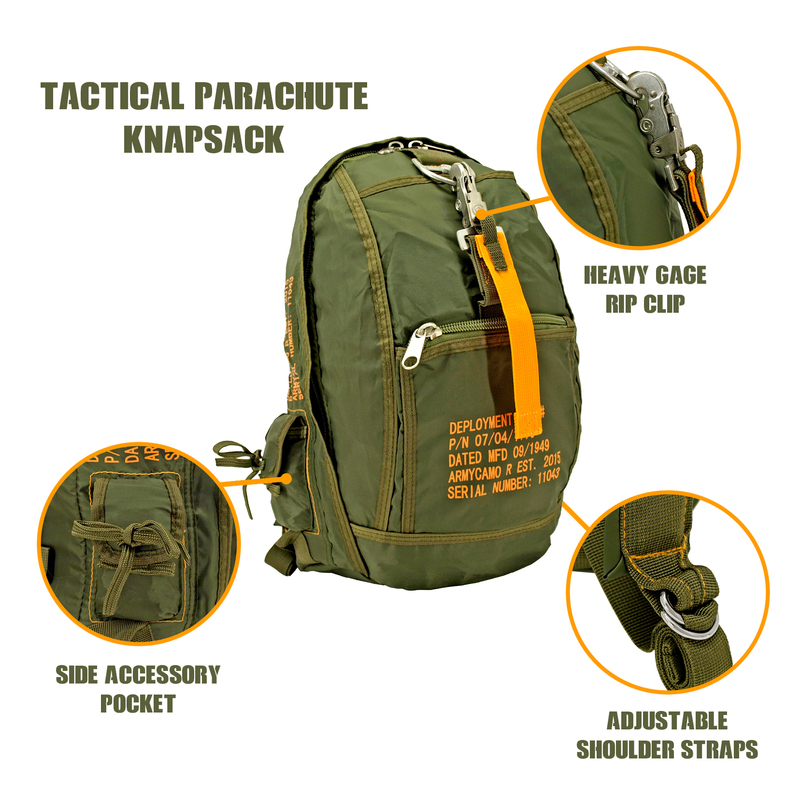 This tactical parachute knapsack also features a large front side zippered pocket. There are also two additional front accessory pockets, one that is zippered and one non-zippered which are in addition to a small side accessory pocket to allow for maximum organization and storage of smaller items. (L x W x H) 17.00" x 11.25" x 2.00"